DELAWARE, Ohio – Historian Julie Mujic will present “‘A Vast Change Had Come Over the Streets’: The Postwar Lives of World War I Veterans in Columbus, Ohio” at 7:30 p.m. April 8 at Ohio Wesleyan University. Work to replace the damaged beams on the Wilson Rd. bridge over I-70 began earlier this week and will continue this weekend and next, weather permitting. Two beams were damaged in September when a truck with its boom raised struck the bridge. Since then, the right lane of SB Wilson Rd. has been closed to keep drivers safe since the damaged beams cannot support the full load of traffic. The majority of the repairs will be completed in two weekends with restrictions beginning at 7 PM Friday and lasting until Monday morning. Here’s how traffic will be impacted starting tomorrow night. 11 PM FRIDAY: SB Wilson Rd. will close for the weekend. Traffic can turn left onto I-70 WB, but won’t be able to continue further. Detour: Wilson Rd. to Trabue Rd. to Hague Ave. to Fisher Rd. to Wilson Rd. 5 AM MONDAY: All lanes open, except the right lane of SB Wilson Rd. 11 PM FRIDAY: I-70 EB will be reduced to two lanes and the ramp from I-270 SB to I-70 EB will be reduced to one lane. 11 PM FRIDAY: The ramp from I-70 EB to Wilson Rd. will close. Detour: I-70 EB to I-670 EB to Grandview Ave. to I-670 WB to Wilson Rd. 12 MIDNIGHT FRIDAY: The ramp from I-270 NB to I-70 EB will close. Detour: I-270 NB to I-70 WB to Hilliard-Rome Rd. SB to I-70 EB. 5 AM MONDAY: All lanes and ramps open. COLUMBUS, Ohio – A single allergic reaction during pregnancy prompts sexual-development changes in the brains of offspring that last a lifetime, new research suggests. The range will be closed for scheduled maintenance on the shooting lanes. The work was originally scheduled for January but was delayed because of winter conditions. For questions, call Division of Wildlife District One office at (614) 644-3925. Deer Creek Wildlife Area hosts thousands of shooters annually at its Class A shooting range. Class A, B, and C ranges require a shooting range permit for all persons 18 years and older. Range permits are available at all hunting and fishing license outlets and online at wildohio.gov. Permits are not sold at the ranges and must be purchased before arriving. Visitors can purchase one of two permits to use the ranges; a $24 annual shooting range permit allows the permit holder to access any of the five Division of Wildlife owned Class A, B, and C ranges throughout the year, or a $5 one-day shooting range permit. For more information about shooting ranges in Ohio, visit wildohio.gov. 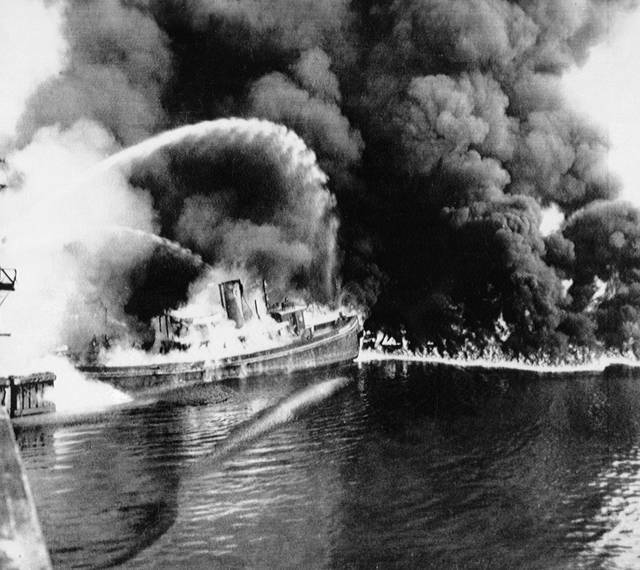 FILE – In this June 25, 1952 file photo, a fire tug fights flames on the Cuyahoga River near downtown Cleveland. Federal environmental regulators say fish living in the northeastern Ohio river are now safe to eat. https://www.sunburynews.com/wp-content/uploads/sites/48/2019/03/web1_122533480-33d6a74b916045aab5b72ab9a8bf2ae9.jpgFILE – In this June 25, 1952 file photo, a fire tug fights flames on the Cuyahoga River near downtown Cleveland. 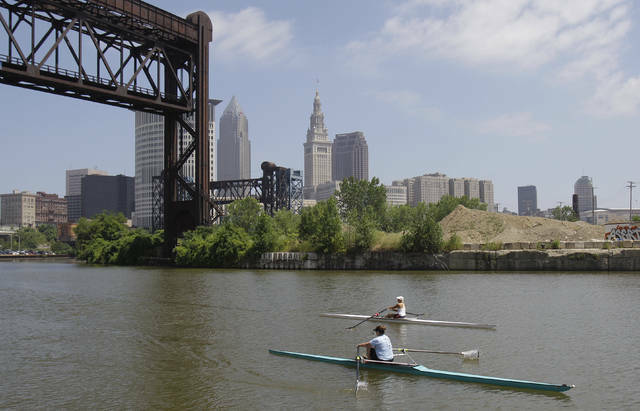 Federal environmental regulators say fish living in the northeastern Ohio river are now safe to eat.